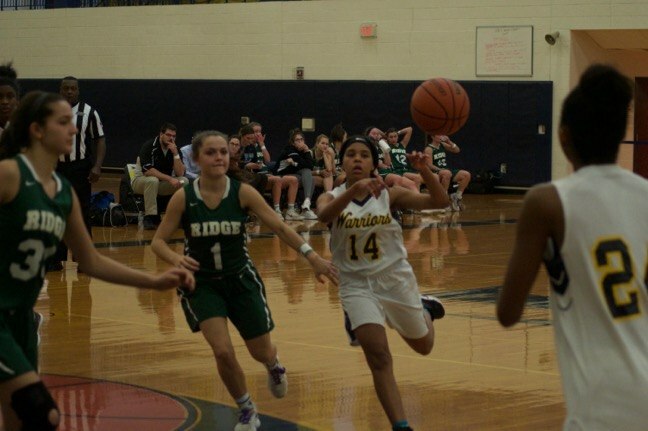 Diamond Miller drives in for a layup during the Lady Warriors’ Feb. 13 game against Ridge’s Red Devils. 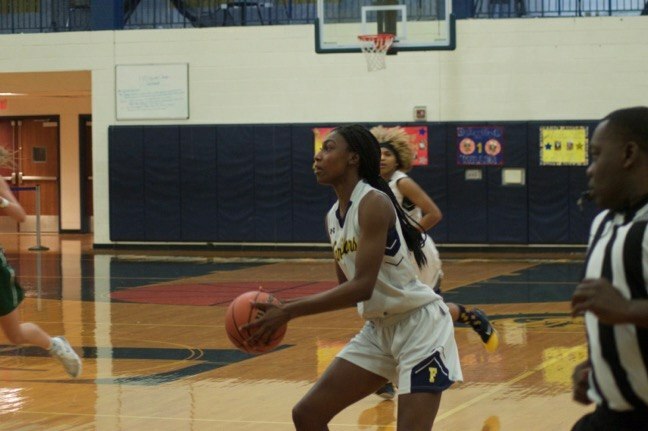 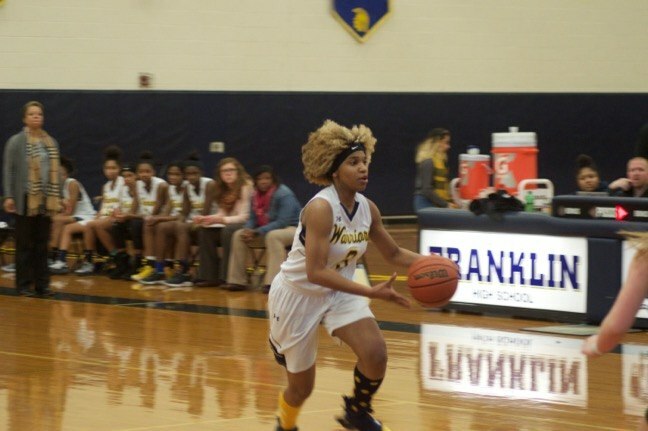 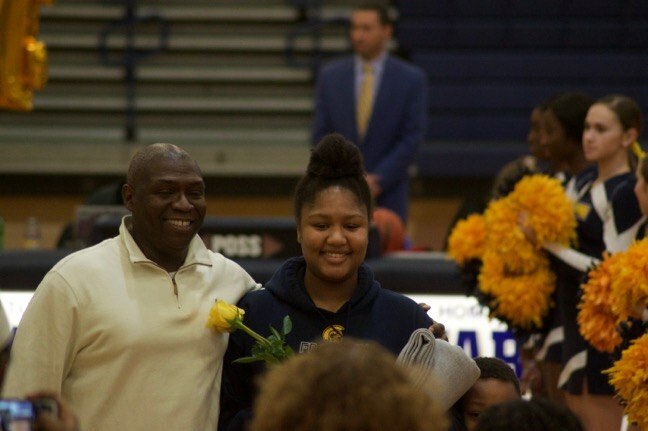 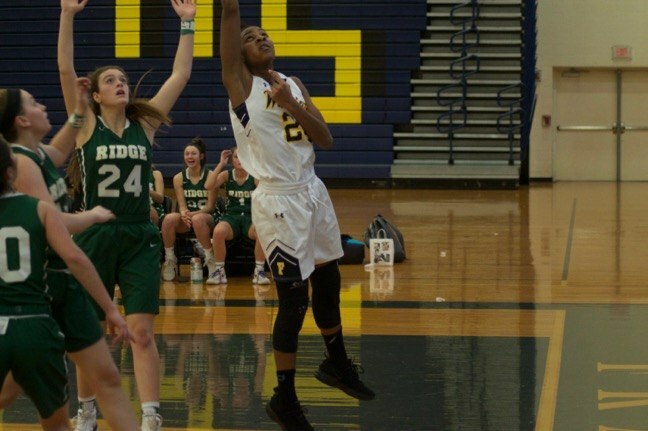 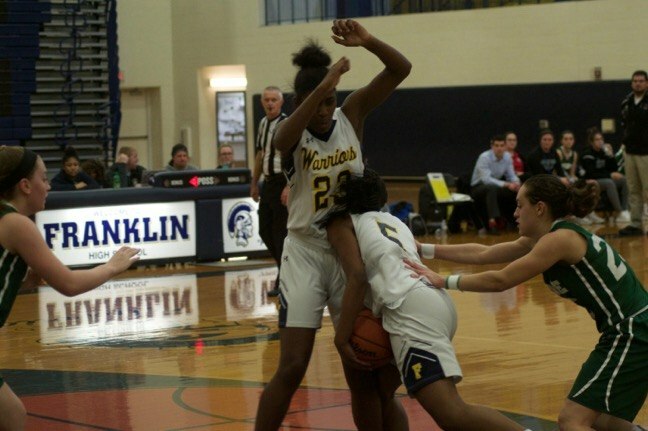 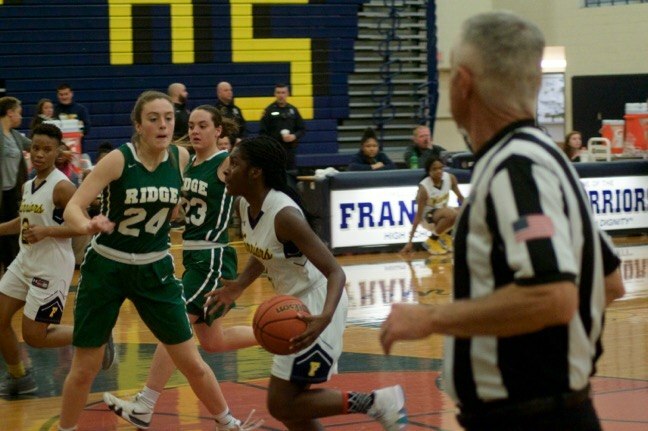 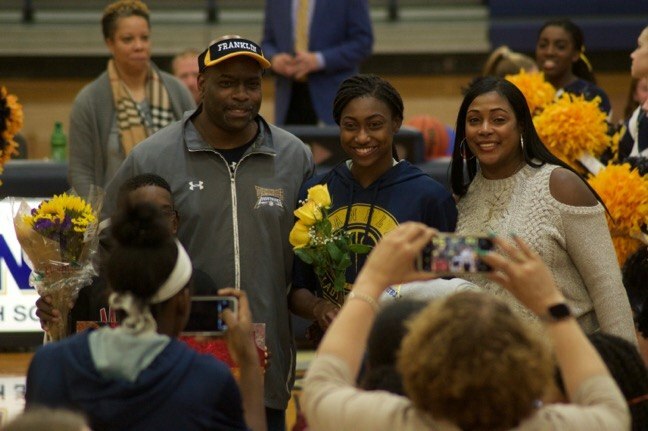 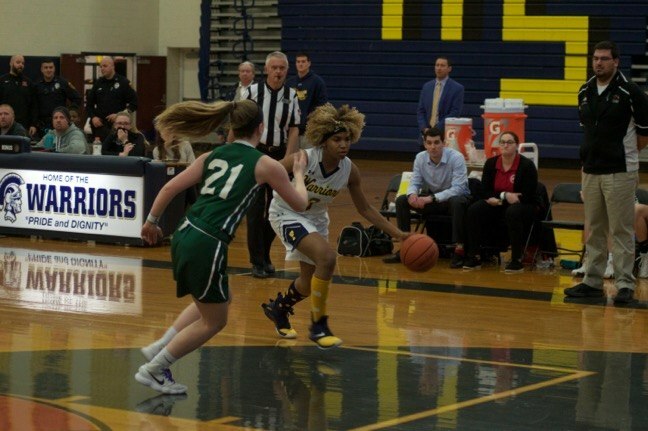 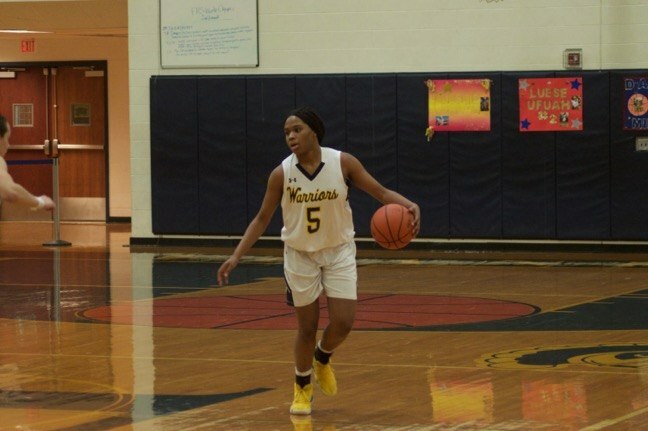 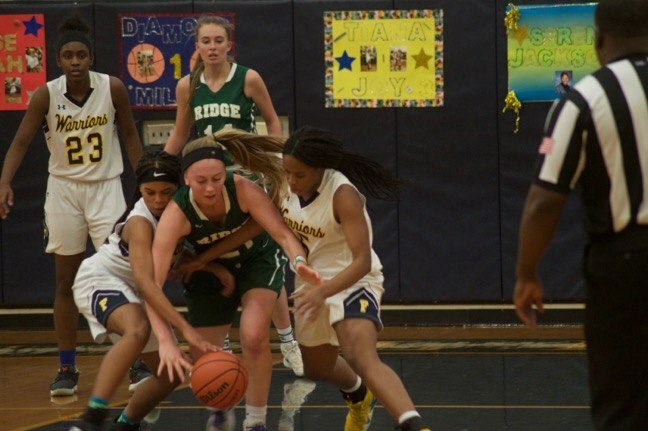 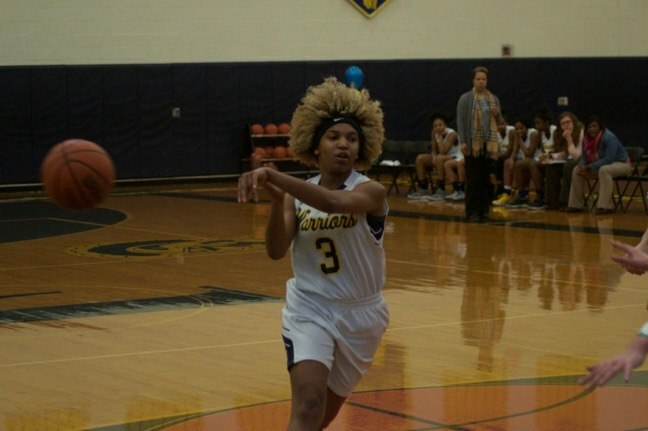 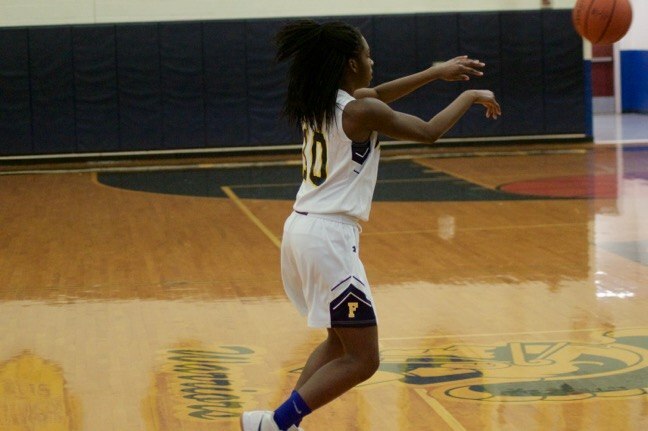 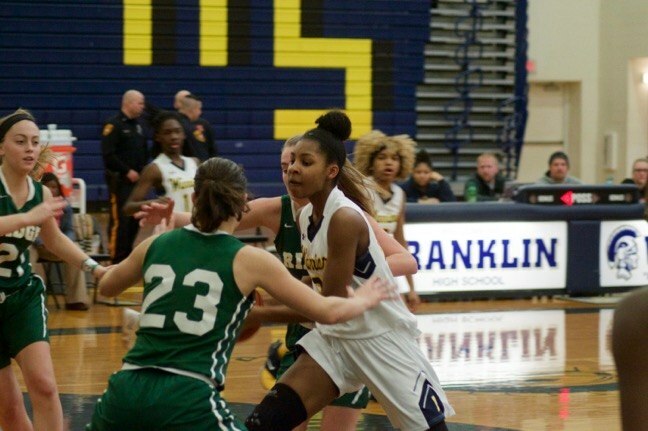 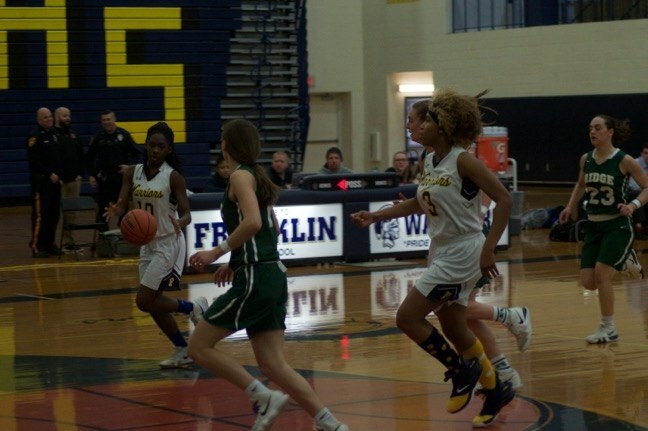 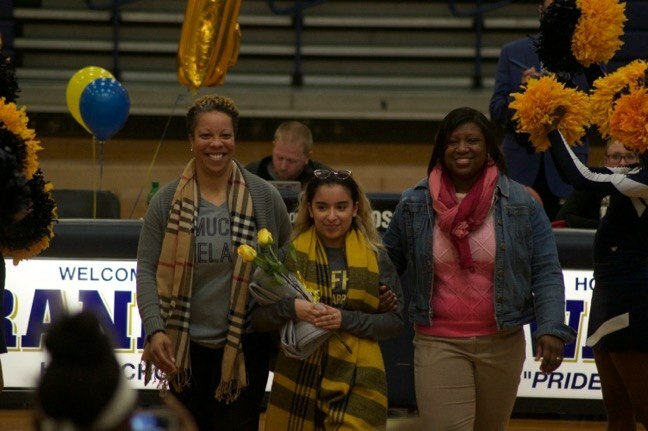 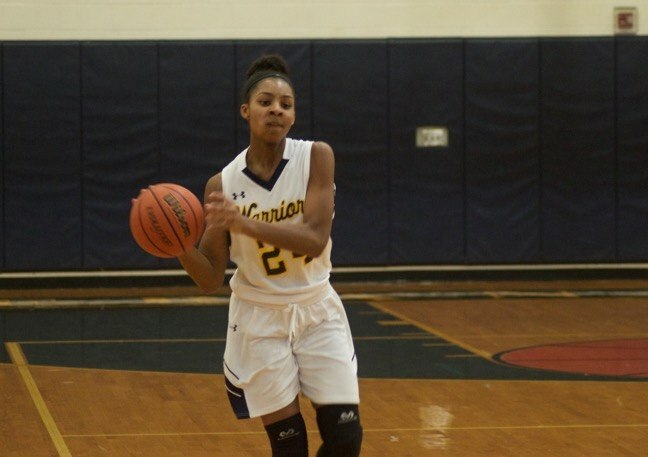 Senior Diamond Miller’s 22 points powered the Franklin High School Lady Warriors to their 22nd win over Ridge High School on Feb. 13. 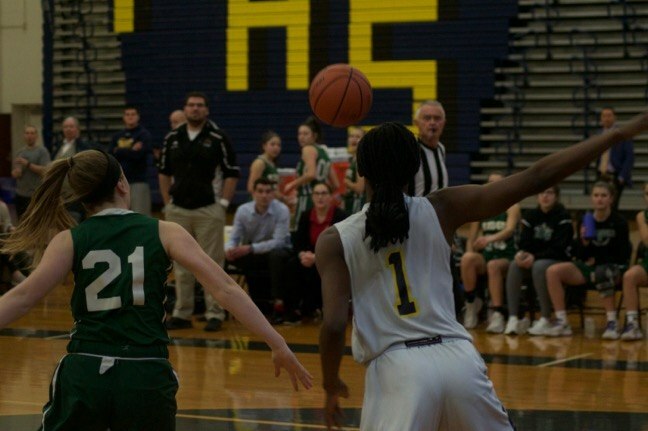 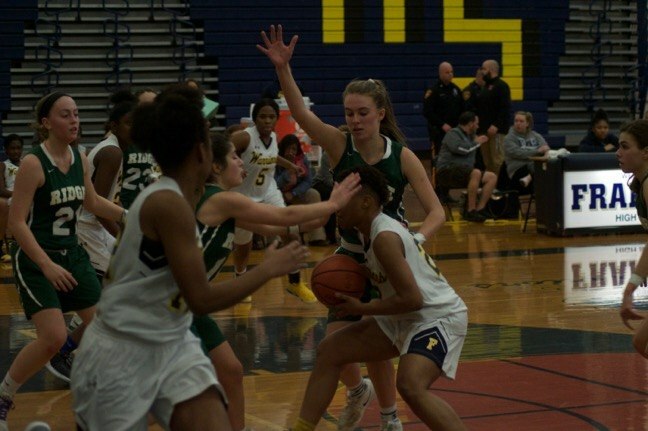 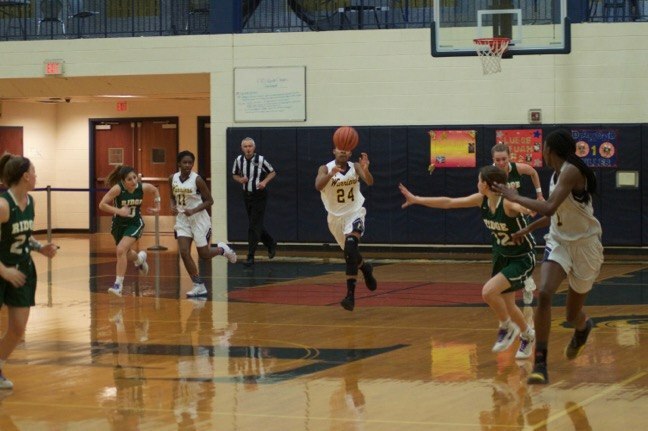 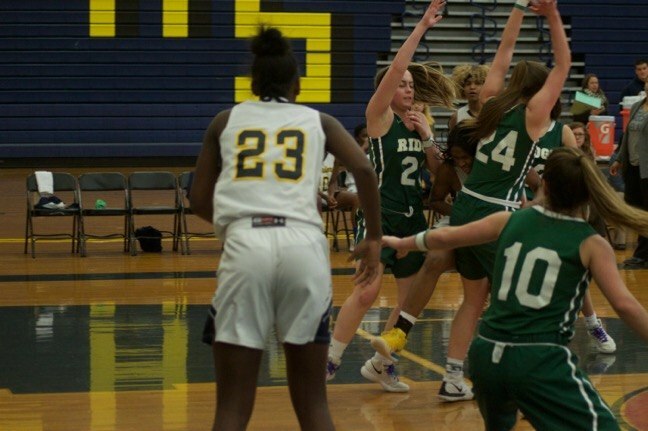 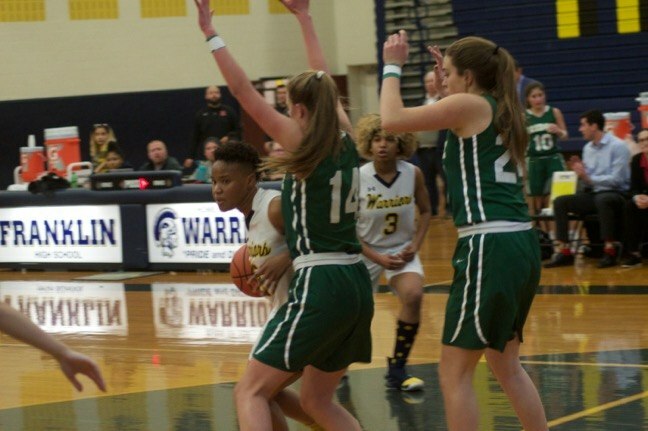 Miller was perfect in her six trips to the foul line, and added five field goals and two 3-pointers to lead all scorers in the Lady Warriors’ 69-36 victory. 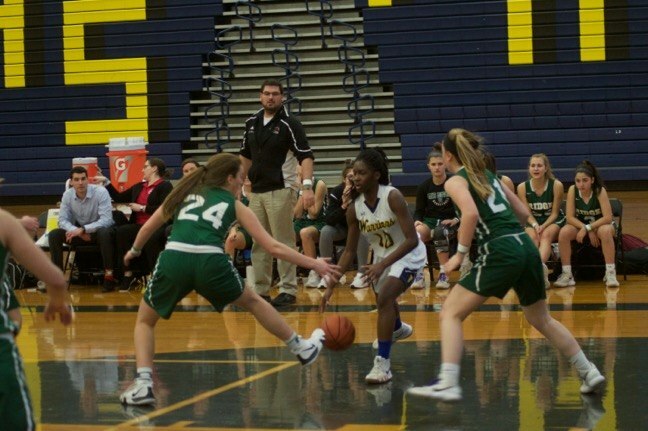 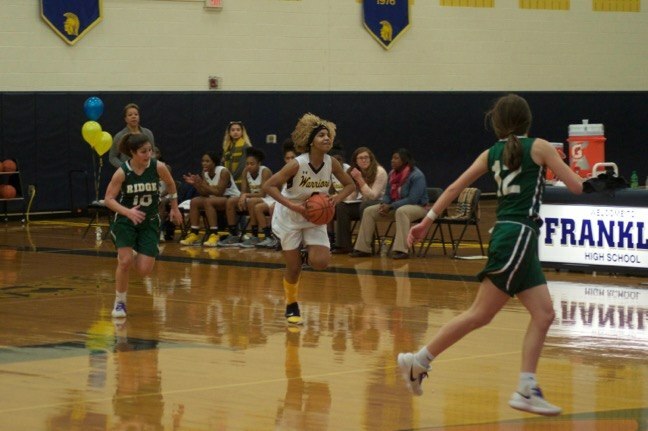 Junior Keona Schenck contributed 18 points in the winning effort, while her sister, Kennedy, chipped in with 6 points. 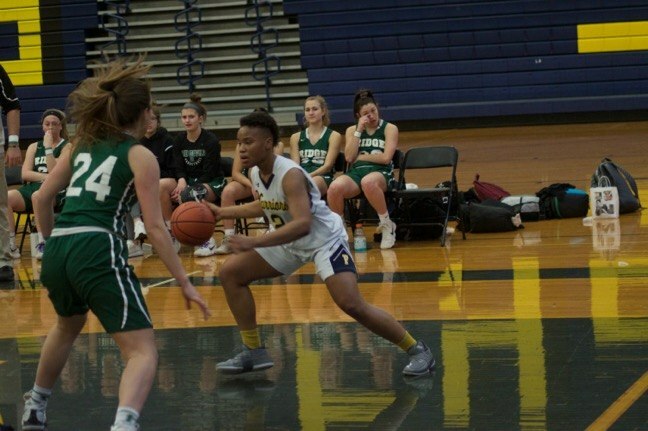 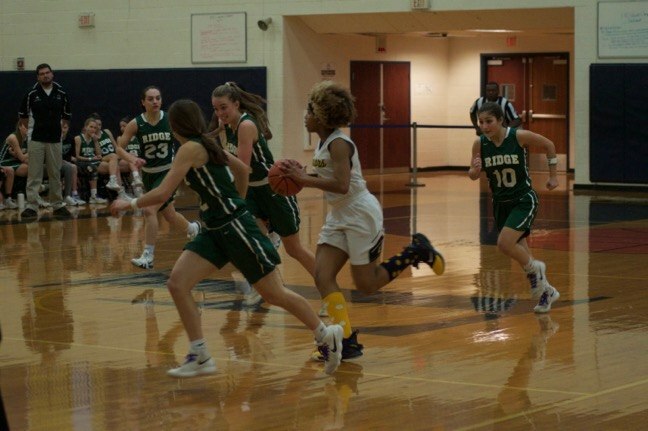 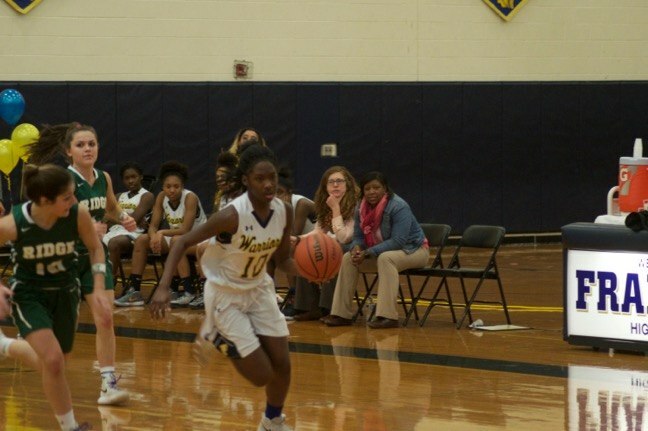 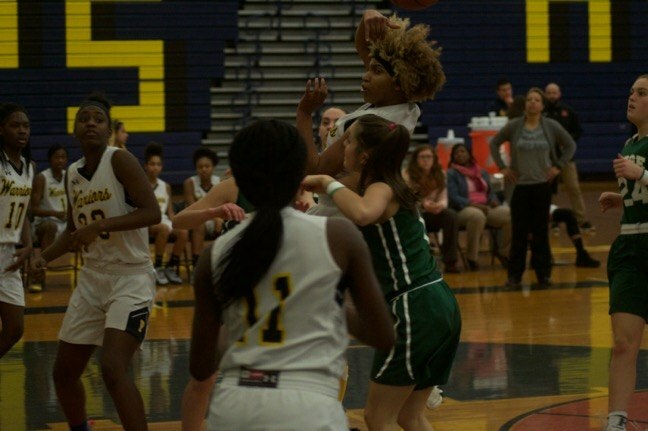 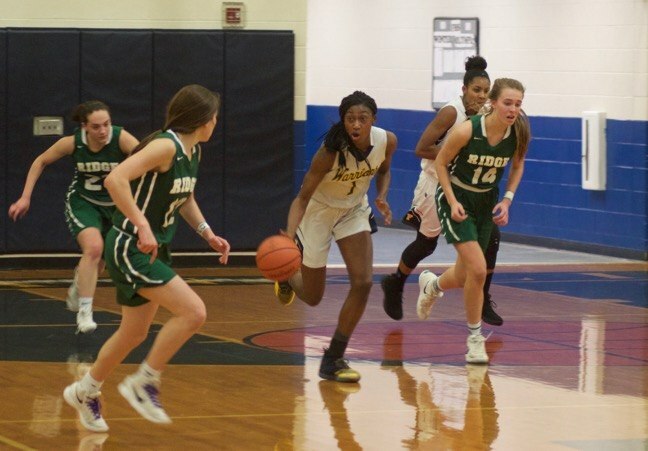 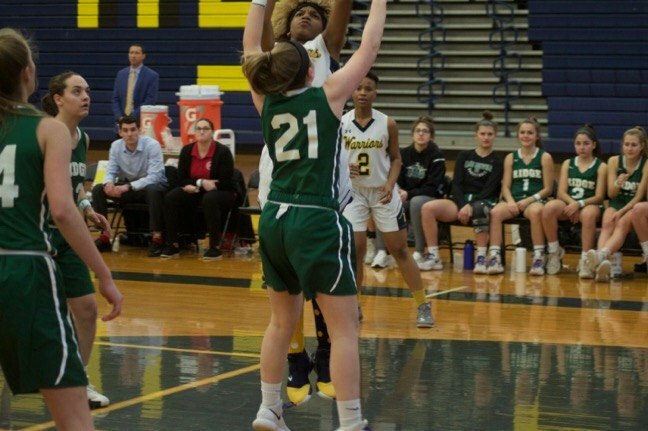 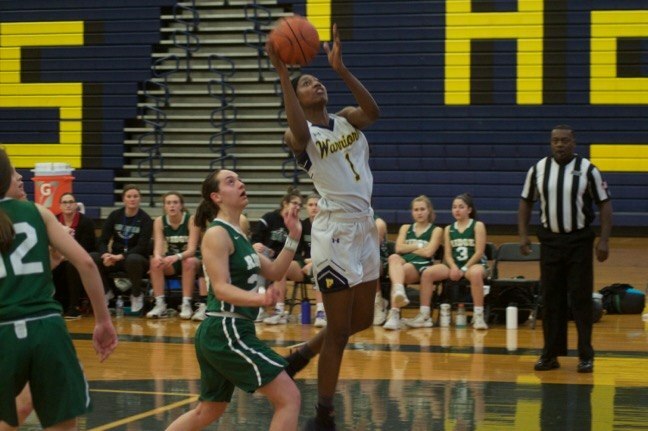 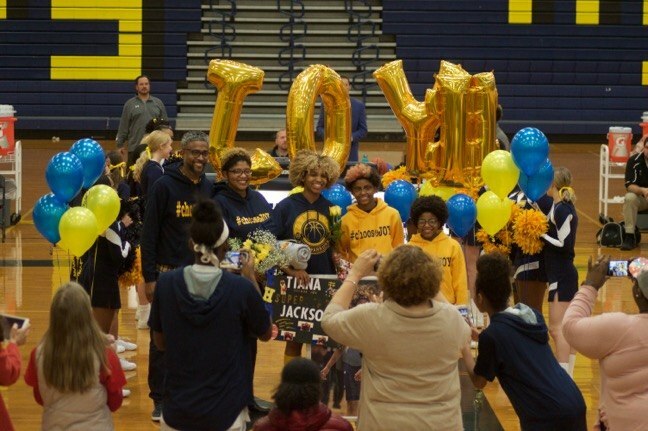 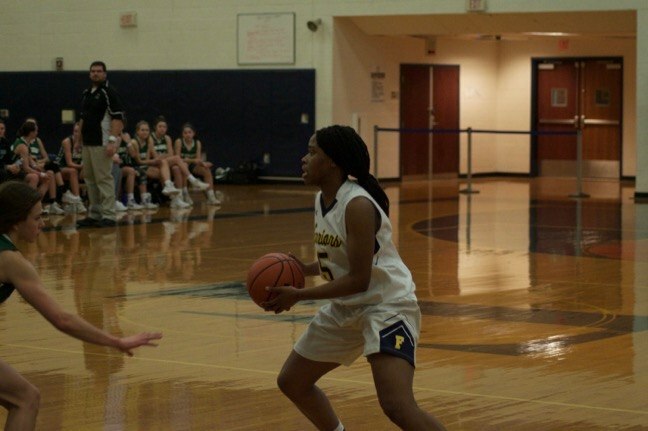 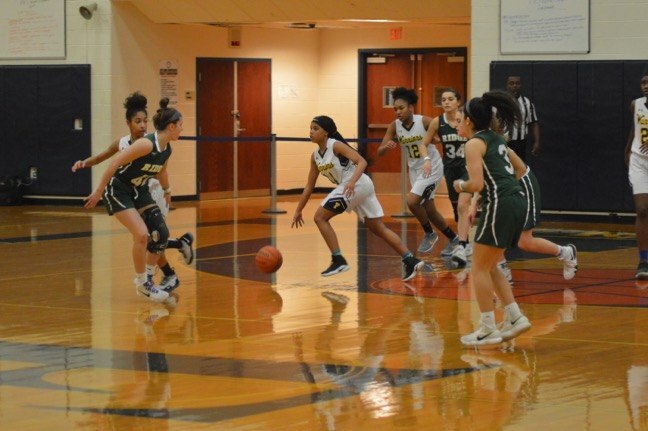 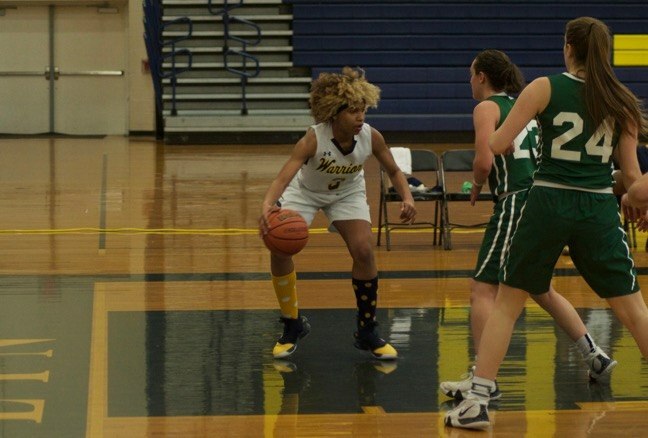 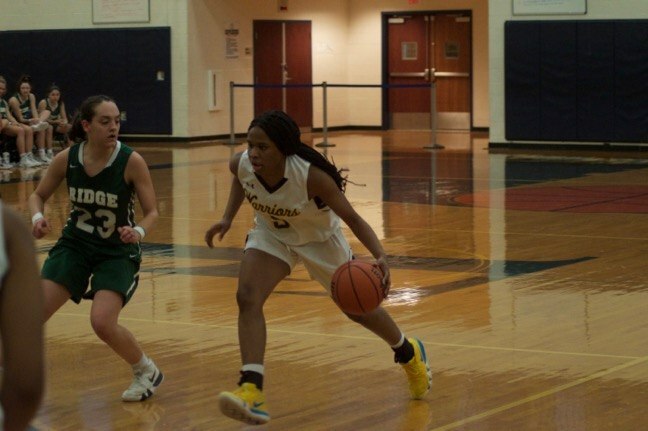 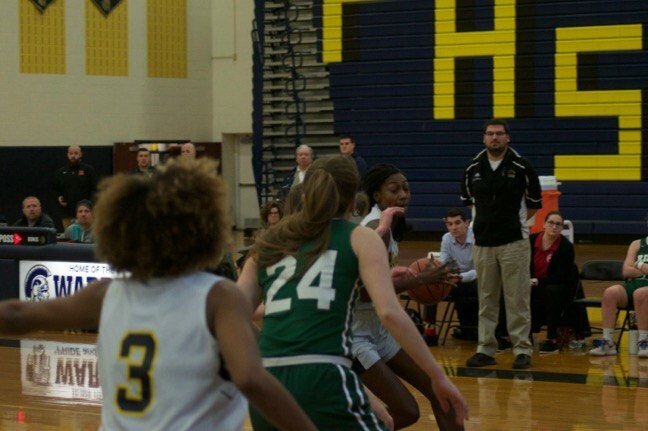 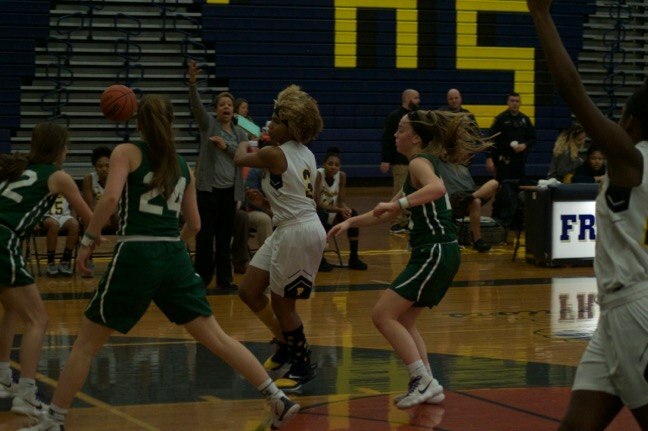 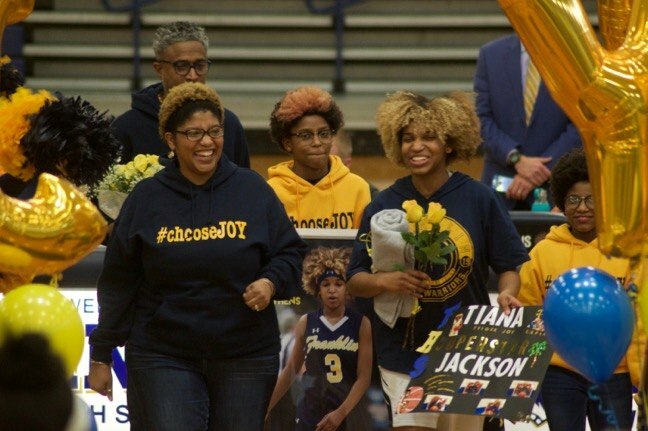 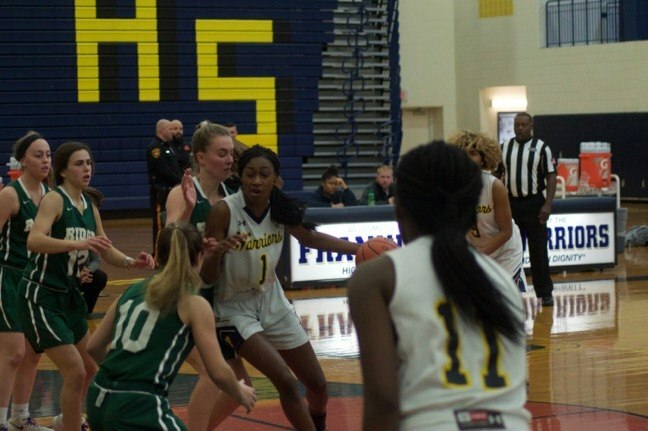 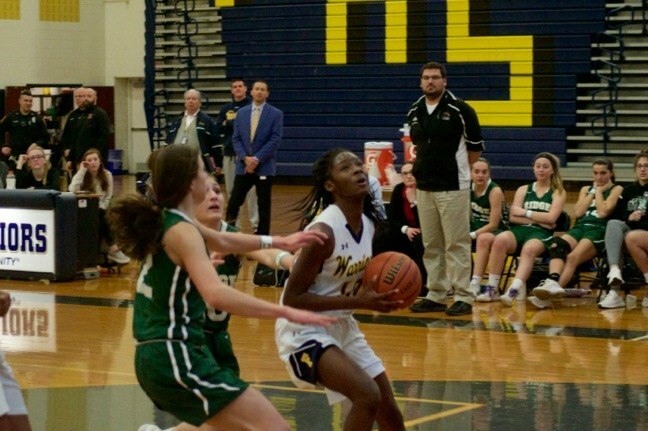 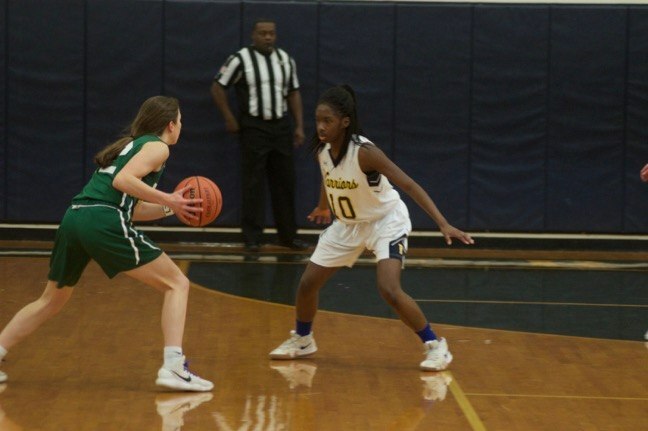 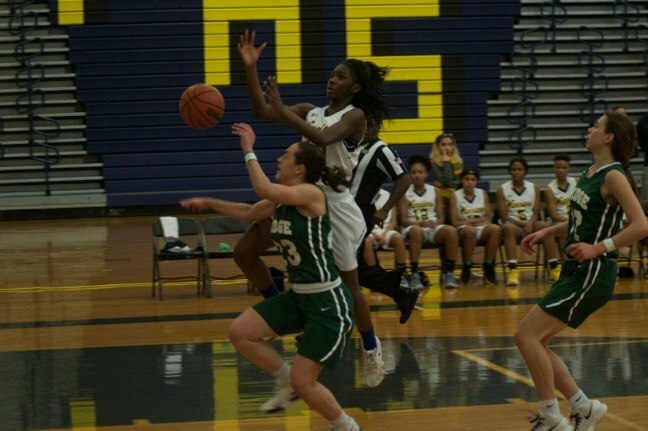 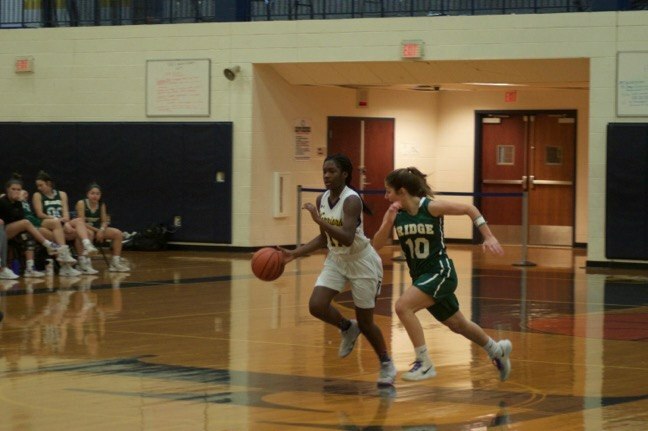 Senior Tiana Joy Jackson, Onoseta Ufuah and Christina Midgette each added 5 points, Kyierah Dempsey-Toney kicked in 4 points, and Erica Jackson and Luese Ufuah contributed 2 points each. 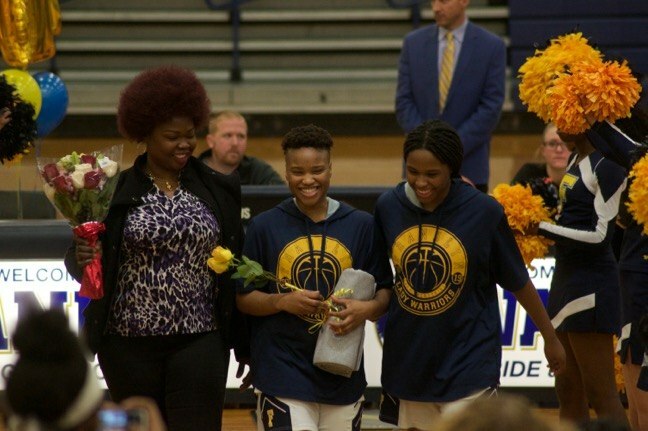 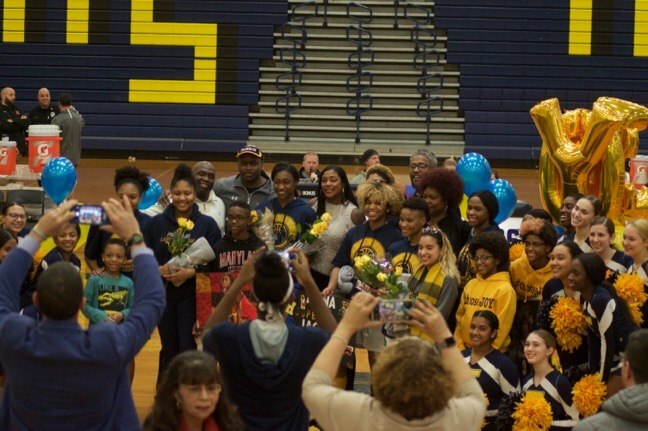 Prior to the game, senior players and managers — Diamond Miller, Tiana Joy Jackson, Luse Ufuah, Serena Jackson and Leleisa Salasere — were honored in a short ceremony. 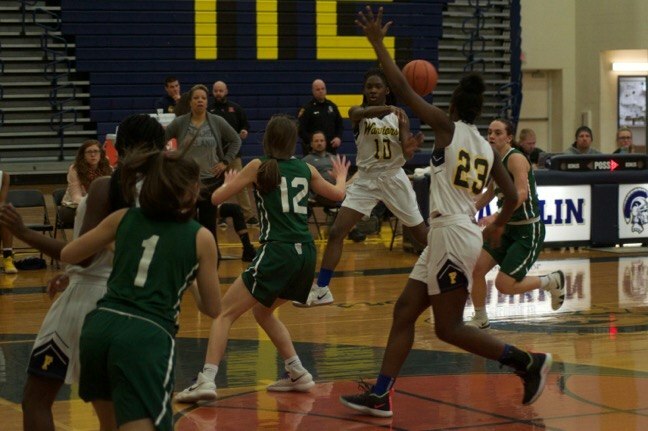 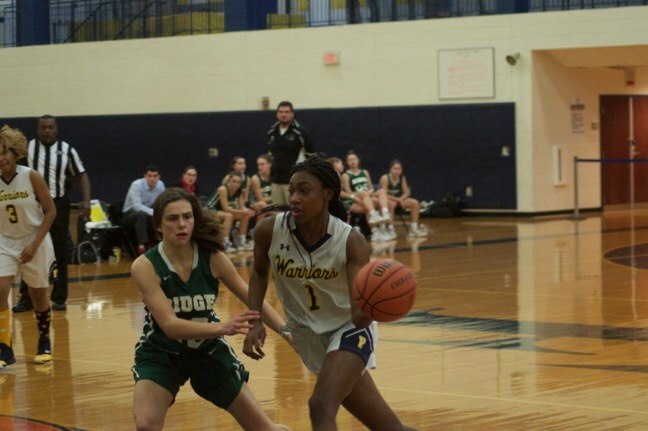 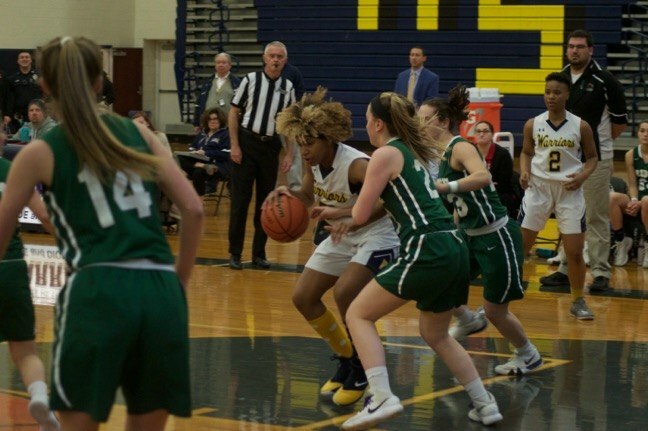 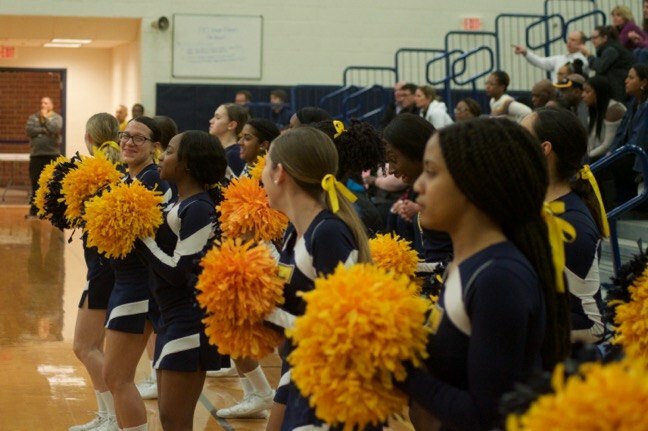 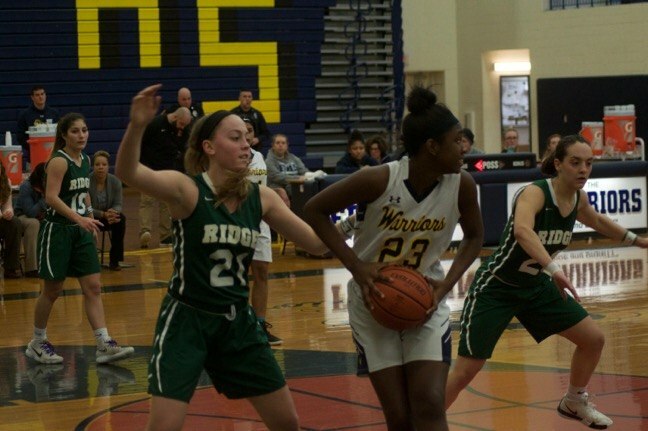 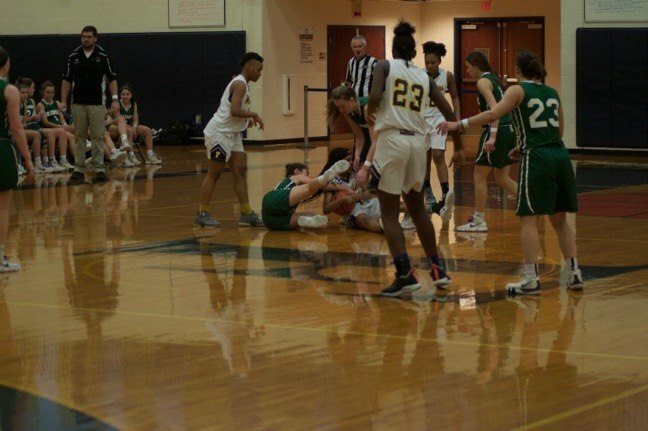 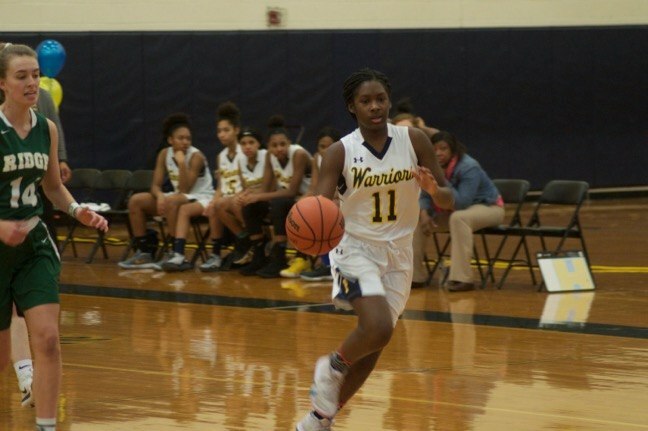 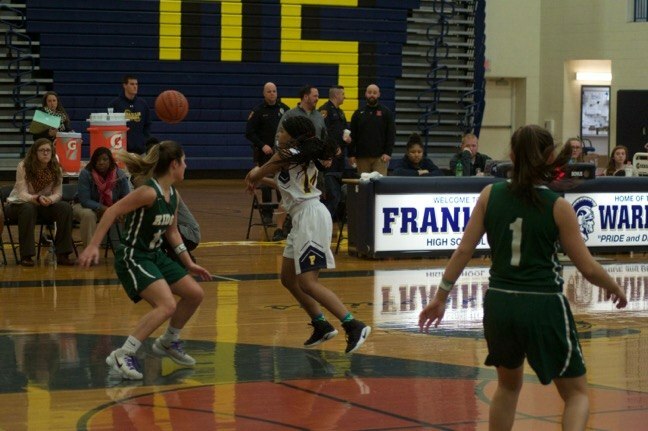 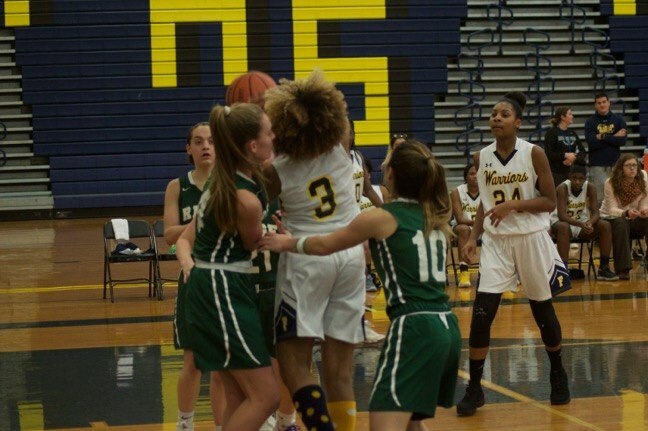 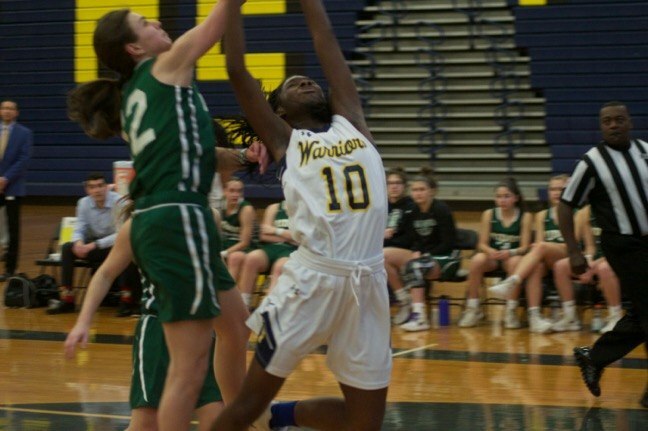 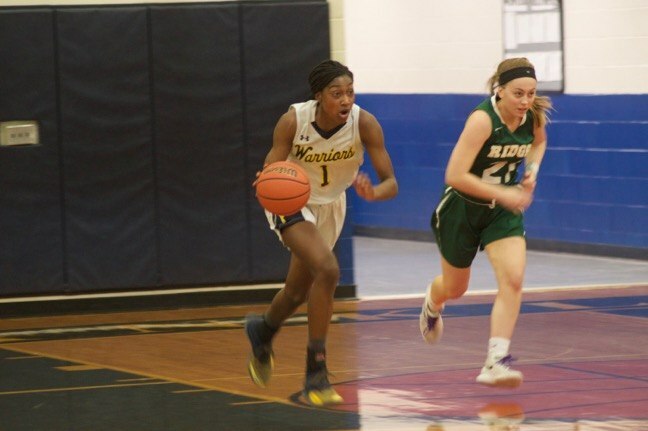 The Lady Warriors play a state tournament tune-up game at home Feb. 15 when they take on the Crusaders of Long Island Lutheran school.